When you think storm relief, it's hard to imagine beyond what’s landing on the doorstep this last winter morning. But spring is just another dozen or so hours away, right? So let's get to it - time to think and scheme what you can plant this season. Now let's narrow it down to what fits with your climate, site conditions, and soil. 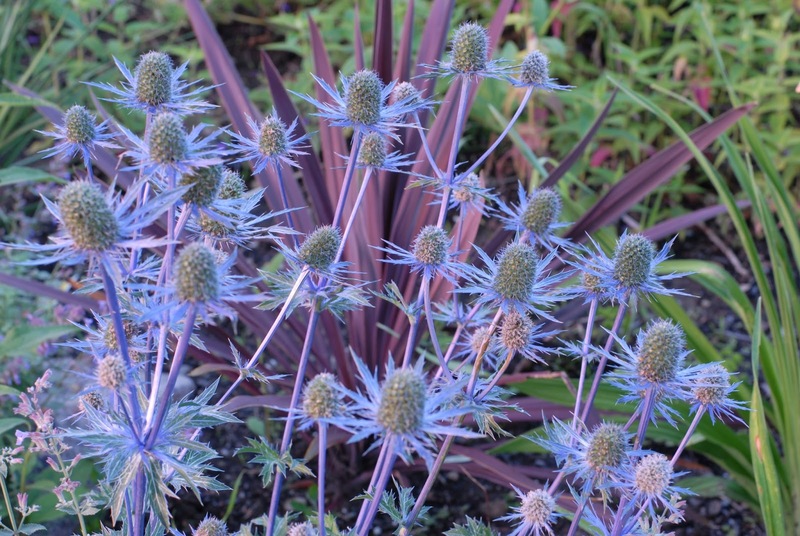 This Sea Holly variety is called Amethyst Sea Holly (Eryngium amethystinum). With an abundance of varieties to choose from, what’s superb about the Sea Holly is that it’s drought-and salt-tolerant, plus a Zone 4-9. You know what that means – this perennial can fit a lot of conditions. Plus it is unique in form and the versatility, well, that’s another biggie when choosing your plant material for your colorful borders. So until we get past this last winter day, that’s the storm relief tip with a Lily Tomlin quote to call it a wrap. “For fast-acting relief try slowing down.” Good words to heed as we navigate this last winter storm. And just think. Tomorrow is spring.